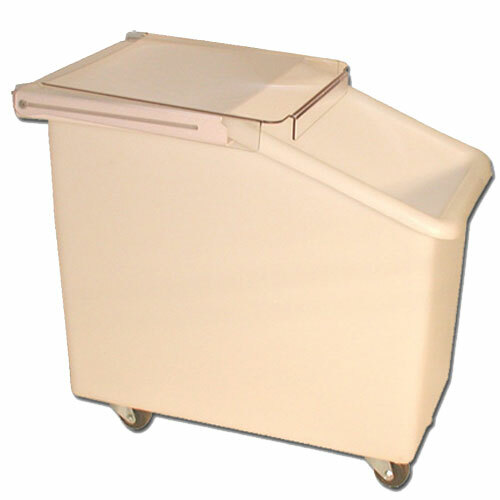 The IB Series IBS-29-LINER Liner for Twenty-Nine Gallon Sloped Top Ingredient Bin is a liner for a sloped, mobile ingredient bin. Heavy duty, long lasting, seamless, polyethylene molded parts. USDA / FDA compliant resins and pigments, 100% recyclable. Easy to clean and handle. Ideal for food production, commercial kitchens, bakeries, hospitality, transport and storage needs. Also referred to as mobile IB or recycling station liner. Liner for twenty-nine-gallon model.